Who Consults a Social Worker? Social workers are the largest group of practicing counsellors and psychotherapists in North America. They also provide the majority of counselling and psychotherapy services in Ontario. Social workers have university degrees in social work: Bachelor of Social Work (BSW), Master of Social Work (MSW)or Doctorate in Social Work (Ph.D./DSW). Anyone who calls themselves a social worker must belong to the Ontario College of Social Workers and Social Service Workers. 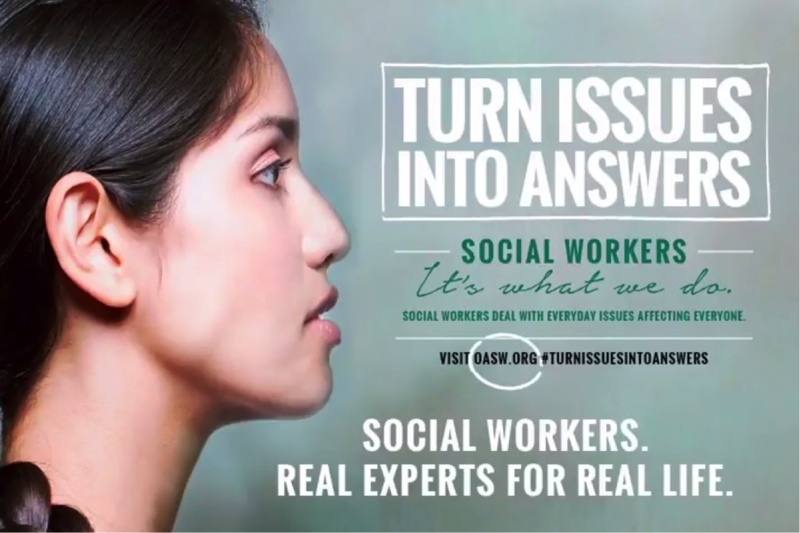 The initials RSW (Registered Social Worker) appear after their name. Why Consult a Social Worker? Social workers assist individuals, families and communities to resolve problems that affect their day-to-day lives. People see social workers when they are going through a difficult period in their personal, family and work life. Social workers help identify and understand the source of stress or difficulty, help people develop coping skills and find effective solutions to their problems, assist people in finding needed resources, and offer counselling and therapy. If you are looking for a social worker in private practice in your area, visit find a social worker. This directory is provided as a free service to individuals or organizations wishing to locate and engage the services of a social worker. If you really want to become a social worker, a great start to your new career would be to earn a masters in social work from an accredited university. Are Fees for Social Worker Services Covered? Social workers in private practice charge an hourly fee for their services. These fees are not covered by OHIP, but they may be covered under a private health plan or employee group benefits plans. If social workers are not currently on the list of professionals covered in your insurance plan, ask that it be added. The majority of insurance companies state that they do not cover social work services because the public does not ask for inclusion of this benefit in private health plans. Health Insurance Companies that reimburse my service. If you work in a unionized setting, ask your union representative to add social worker to the list of professional services covered in the employee benefits plan during the next contract negotiations. If you work in a non-unionized setting, ask your employer or human resources department to add social worker to the list of professional services included in the employee benefits plan. If you have private health plan, ask about adding coverage of social worker services to your plan. Tell your insurance company that you believe that social work services should be a standard benefit in all insurance policies.